Welcome to Day #12 of Chocolate and Nuts Theme Week. Chocolate "weeks" frequently extend beyond seven days as new chocolate items are discovered. 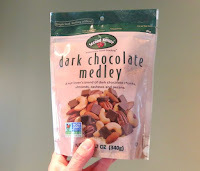 For example, today's Dark Chocolate Medley "nut lover's blend" from Second Nature Snacks Company (Madison Heights, MI) suddenly popped up on the shelves of a local store, and seemed perfect for this Chocolate and Nuts Week. 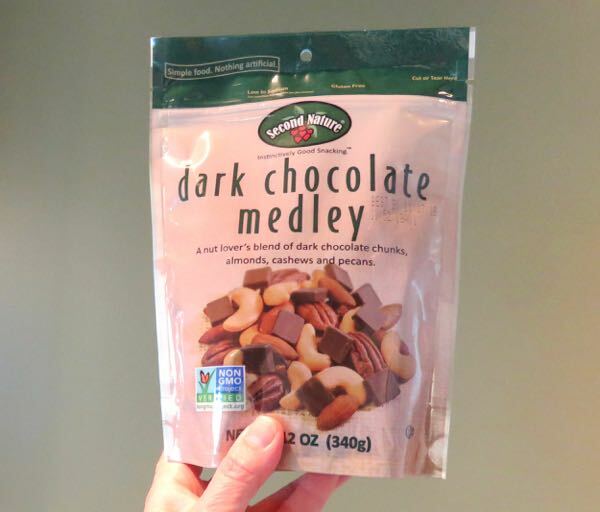 This Non-GMO Project Verified, gluten free mix was a nicely balanced blend of dark chocolate squares (large enough so that you could taste the chocolate) and crunchy nuts: almonds, cashews and pecans. 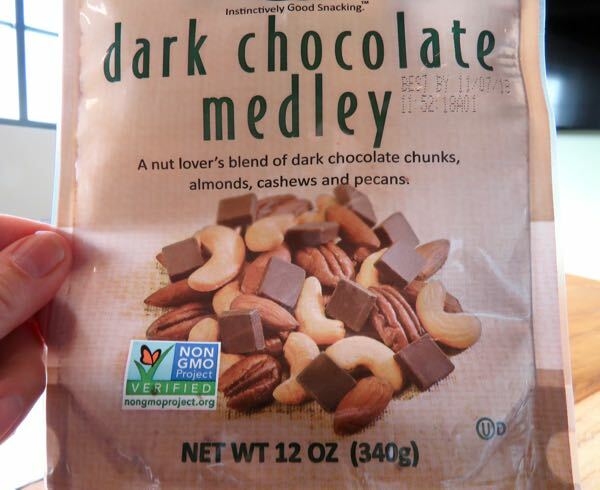 While not suitable for those with nut allergies, this snack mix was made by a company that seemed mindful of ingredients and supply chains. And, it was relatively low in sodium (35 mg. in a single 1 oz. serving).